Looking "where to sell my Cadillac Eldorado?" Ask the Chicago Car Club! Are you wondering "where to sell my Cadillac Eldorado ?" The Chicago Car Club is interested in classic cars of all makes and models, especially a Cadillac Eldorado. We make the process of selling your Cadillac Eldorado quick and painless. In just a matter of hours we will have your classic valued and, if you do so choose, turned into money in your pocket. All it takes is a phone call or electronic inquiry to get the ball rolling. Cadillac is a subdivision of General Motors, and throughout history has specialized in engineering and marketing high-end, luxury vehicles. Cadillac cars have historically been prevalent in United States, Canada, and Mexico but they’ve also been distributed heavily around the world. Cadillac has always been at the top or near the top of the American high-end, luxury auto manufacturing industry. The company continually pushed the boundaries in terms of innovation and luxury, as is the case with the Cadillac Eldorado. From 1954 to 1970, Cadillac designed, manufactured, and distributed six generations of the infamous personal luxury car known as the Eldorado. Cadillac re-designed and engineered the Eldorado several times, introducing six different generations of the Eldorado throughout these two decades. The Eldorado gained enormous attention and desire right from its first design and interaction. The name Eldorado is a combination of two Spanish words, which translate to “The Golden One” and refer to the mythical “Lost City of Gold.” The name of this classic car makes perfect sense because the Eldorado was always at the top or near the top of the Cadillac line in terms of price and luxury. The original 1953 Eldorado convertible model and the Brougham models of 1957 to 1960 were the sole highest priced models that Cadillac offered. Between 1953 and 1970, the Cadillac Eldorado was at least the second most expensive car manufactured and marketed by Cadillac, sometimes second only to the Cadillac Series 75. 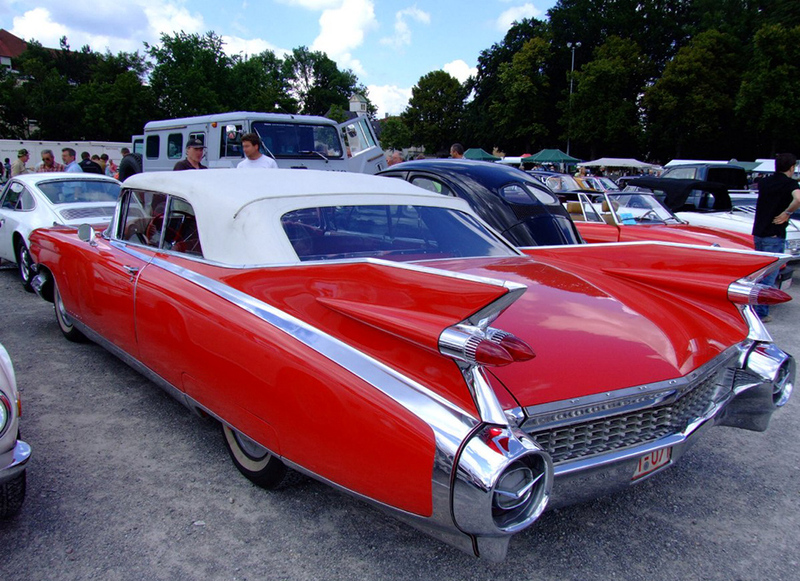 From 1956 to 1965 the Eldorado was offered as a Seville or Biarritz, meaning either a hardtop or a convertible model. The Seville was eventually discontinued when the hardtop was put out of production in 1961. In 1961, Cadillac went through a restyling and re-engineering phase, and the Eldorado Biarritz was re-branded as part of the De Ville series. The new design featured a new grill that arched back towards both the bumper and hood lip and included dual headlamps that gave it a more modern and unique look. This fourth generation iteration of the Eldorado also included power steering, automatic transmission, power brakes, dual backup lights, dual speed wipers, windshield washer, outside rearview mirrors, vanity mirror, power windows, oil filter, 6-way power bench seat, whitewall tires, power vent window and a remote control trunk lock. All of these modern and game changing features came standard in the fourth generation of the Eldorado, a classic sign of Cadillac’s prowess for innovation and luxury cars. Cadillac designed, produced, and distributed six different generations of the Cadillac Eldorado and gained enormous acclaim for this standout and infamous model.